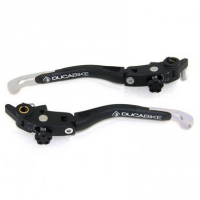 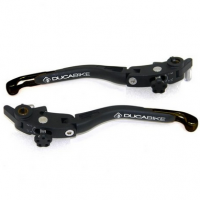 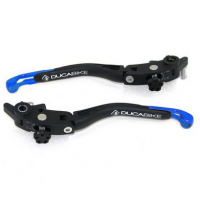 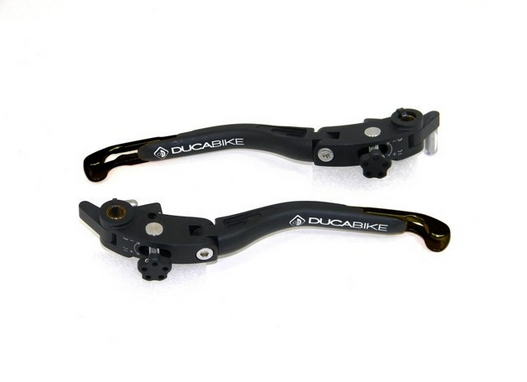 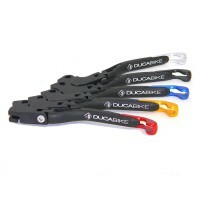 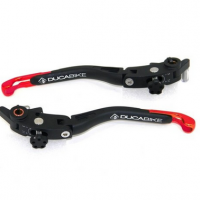 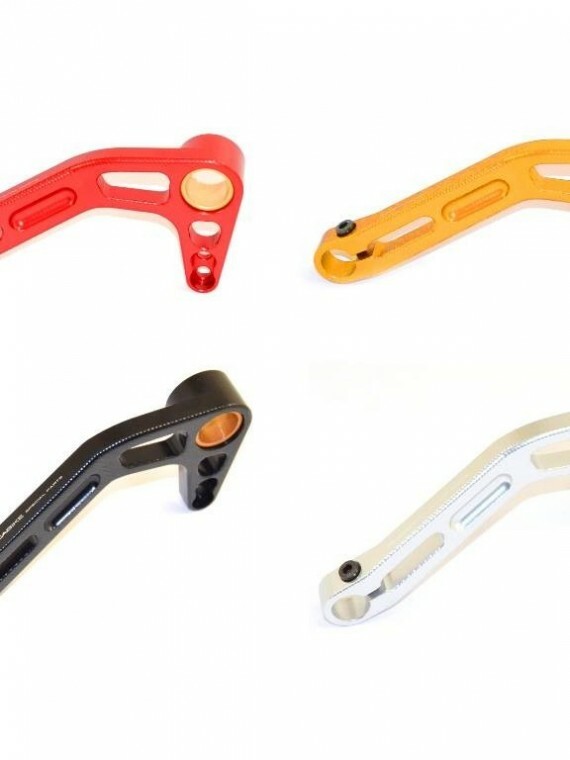 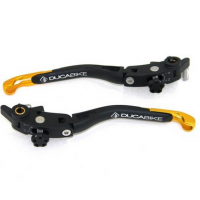 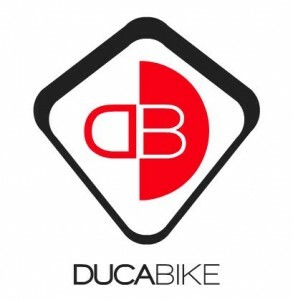 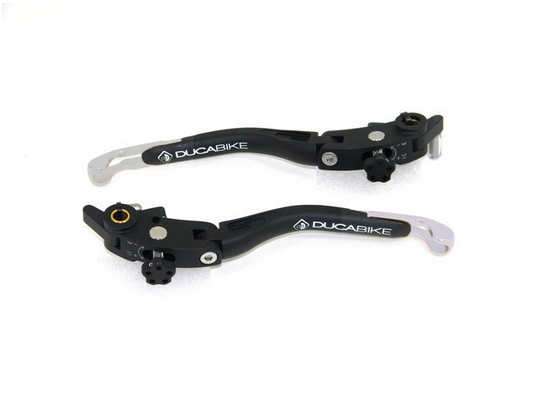 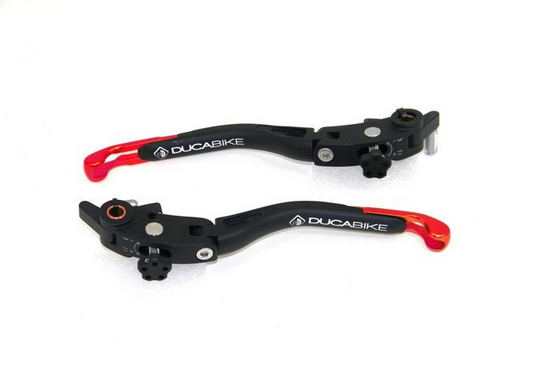 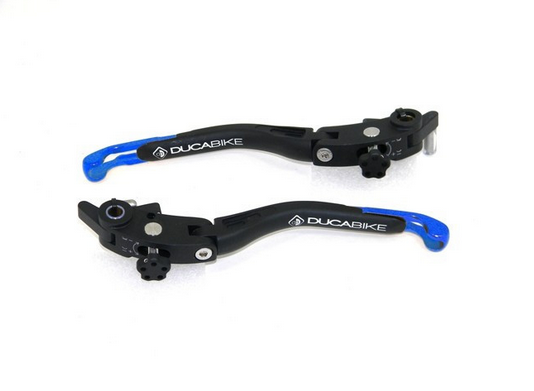 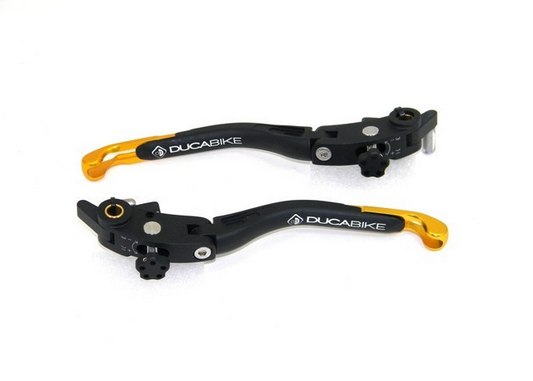 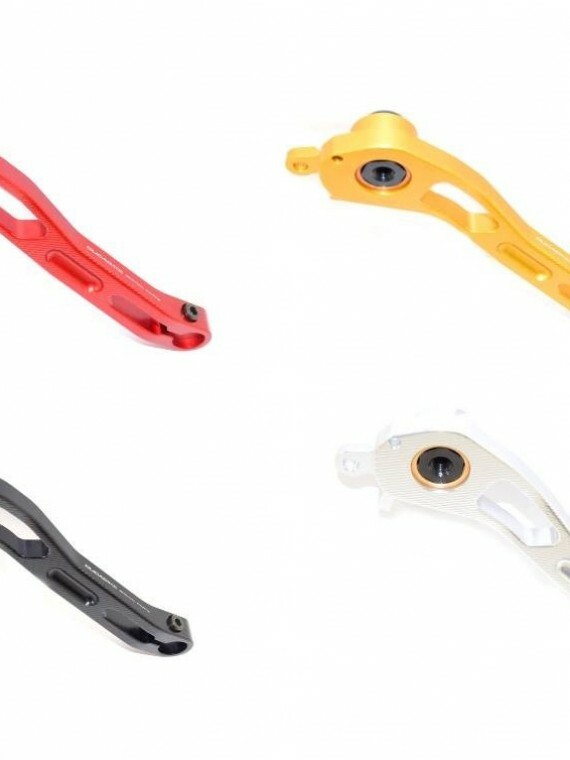 Ducabike Ducati CNC Adjustable Lever Kit LO2, OEM for Brembo master cylinders. 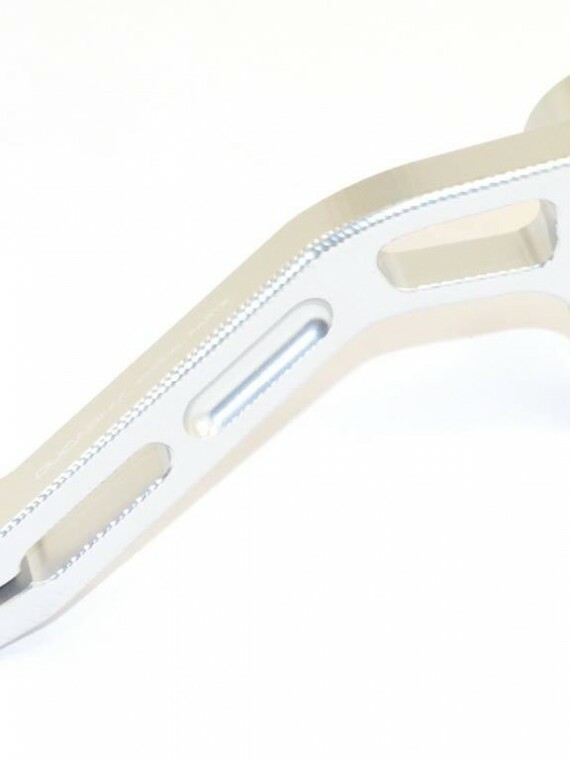 Machined from solid aluminium, hard anodised surface. 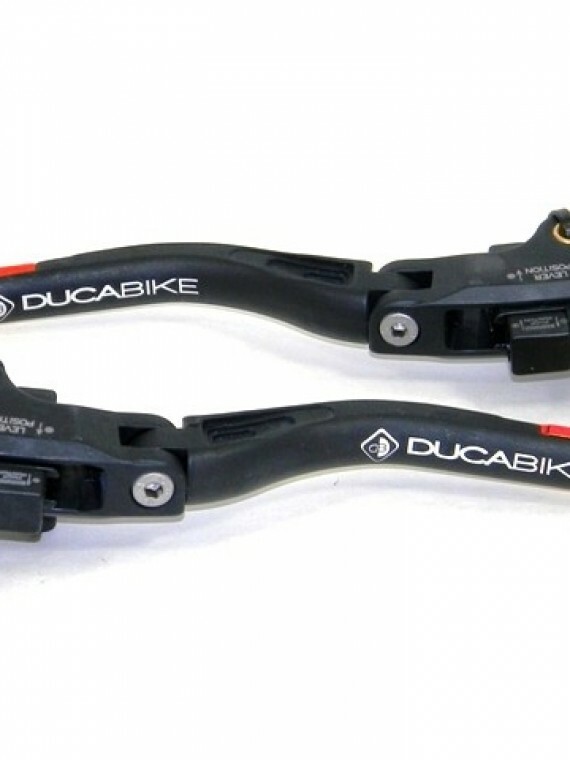 Adjustable length settings on the lever tips. 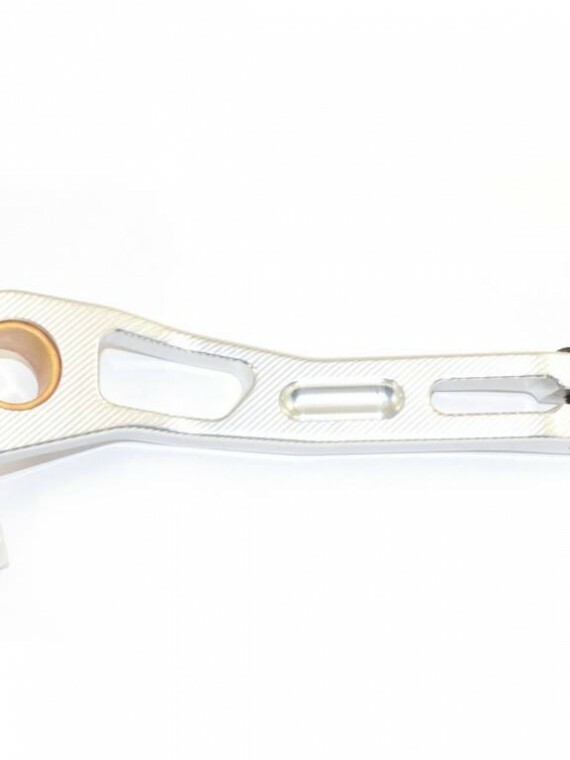 Hinged joint to prevent damage to the radial master cylinder. 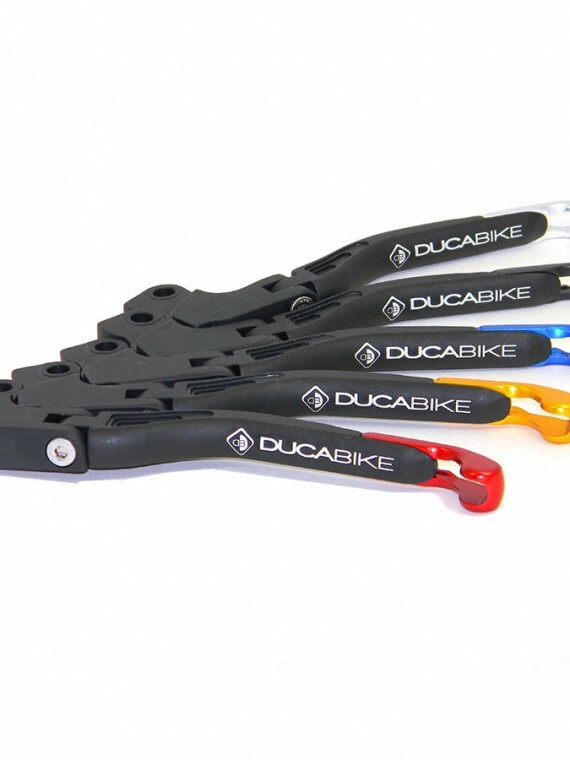 Multicoloured tips specifically designed for your Ducati motorcycle.